We first saw the Captur Concept at the 2011 Geneva Motor Show, then in 2013, Renault gave us the production-ready Captur at the same show. The car went on sale in France shortly thereafter and has been produced ever since. 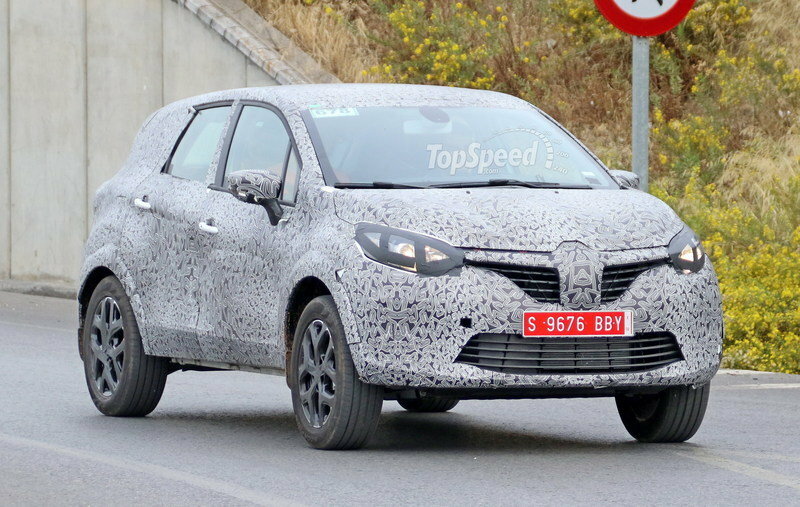 Because it’s so new, it’s not surprising we haven’t seen a facelifted model yet, but our spy photographers recently caught a Renault prototype testing under heavy camo, and we have reason to believe it’s the new Grand Captur. 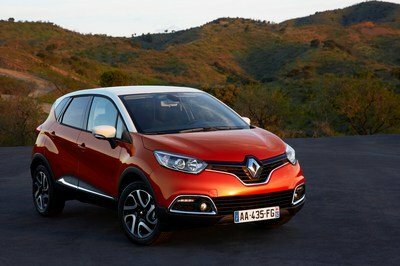 According to our sources, Renault insiders have confirmed that a longer-wheelbase Captur is in the pipeline. With that information and these spy shots, it’s evident we’re getting a first look at that new model. As you can see, the car in camo has a lot of the same design cues as the current Captur, but it’s clearly bigger. 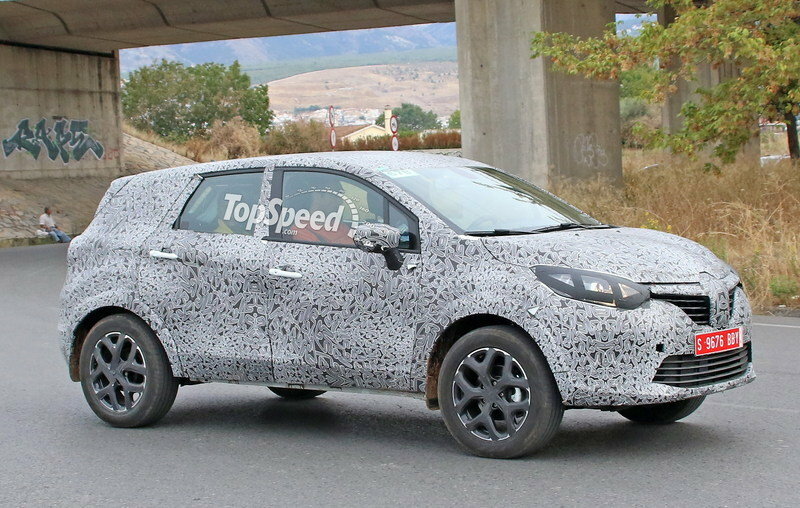 Given the fact the car is already this far into testing, we could see it in showrooms for the 2017 model year – about the same time we expect to see the facelifted Captur. 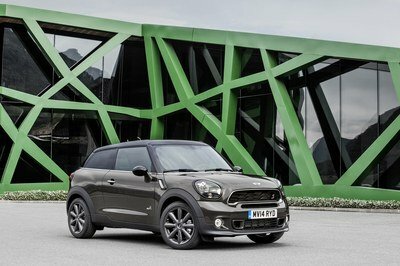 So, let’s quit wasting time and take a look at the Captur’s younger (but larger) brother. Continue reading to learn more about the 2017 Renault Grand Captur. Looking at the front, the car is clearly a Captur. It has the same grille design and the headlights carry a similar shape, despite being concealed by tape. The lower grille has a different shape, but it’s quite possible the ends are also covered in camo. If not, this could be what the lower grille will look like when the Captur goes through its facelift. There are no fog lights shown on the mule, but I suspect similar fog lights from the current Captur are hidden underneath. There is a lower body line by the side skirts, but it’s nowhere near as dominating as on the current Captur. On the side, we can make out several body lines, including double arches over the front and rear wheel wells. There is a lower body line by the side skirts, but it’s nowhere near as dominating as on the current Captur. A smooth body line is also evident near the door handles, terminating where the taillights presumably wrap around the body. As you can see, the car clearly has a longer wheelbase than the current Captur, as noted by the wider doors and extra length behind the rear doors. 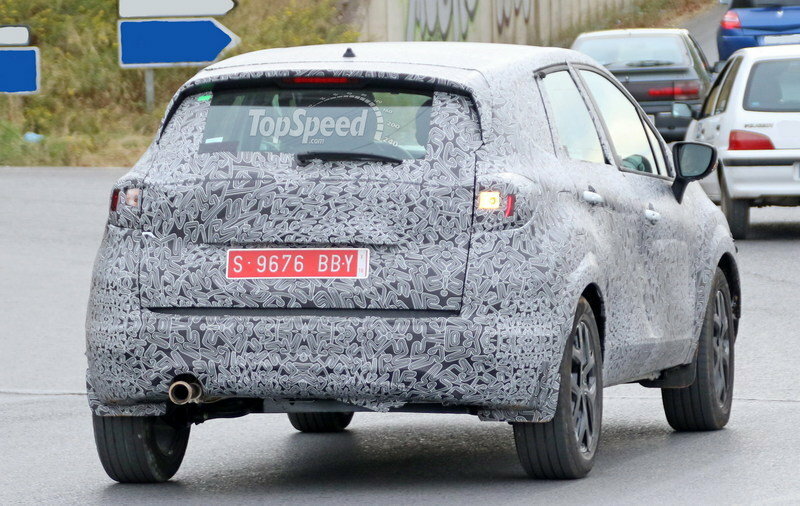 Looking at the rear, the taillights are smaller than the current Captur. 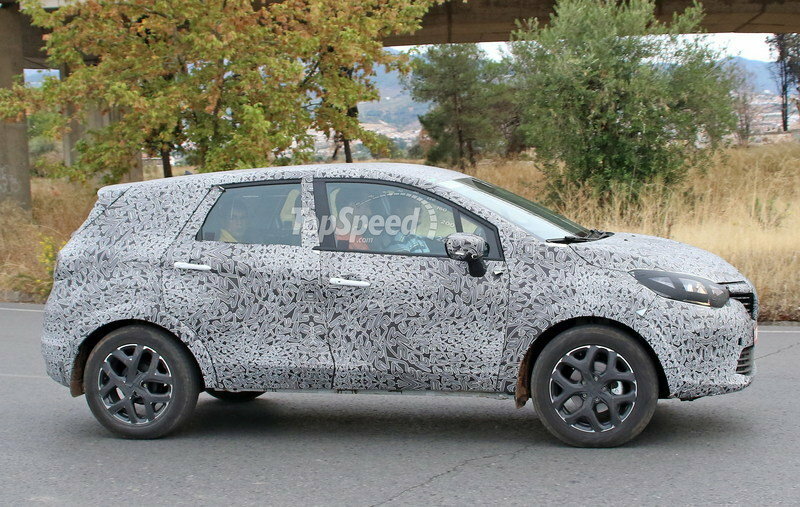 The rear hatch and rear spoiler overhang are all evident of the Captur’s styling and add to the premise this is likely the Grand Captur. 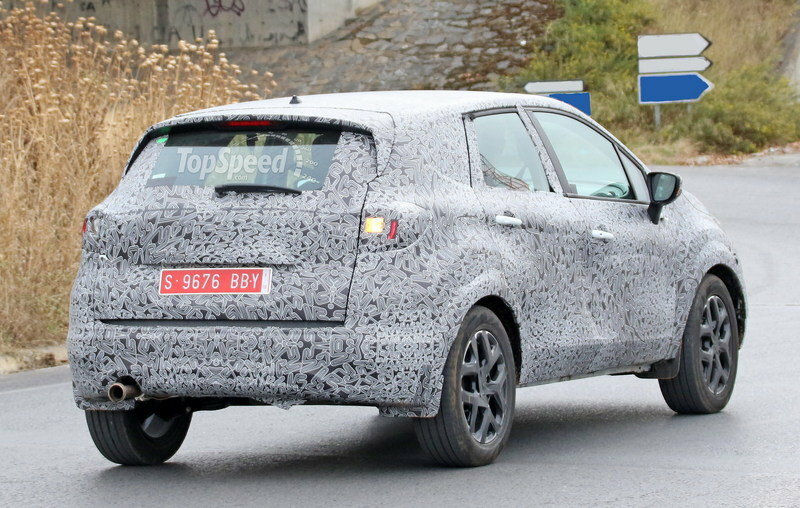 The rear fascia is heavily camouflaged, but appears toned down from the current Captur. 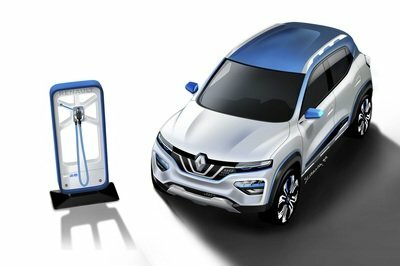 After looking over the car in detail, I would be shocked if we didn’t see it in the metal sporting a Grand Captur badge. The interior is a complete mystery at this point, but I suspect we’ll see something similar to the current Captur, with appropriate changes to accommodate the extra cargo space. Following the design cues from the current Captur, I expect to see leather in the dashboard, seating, and door trim. A minimalist center console will mount the infotainment system in the center of the dash. I suspect we’ll also see a new set of speakers in the rear, considering there’s all that additional cargo space. 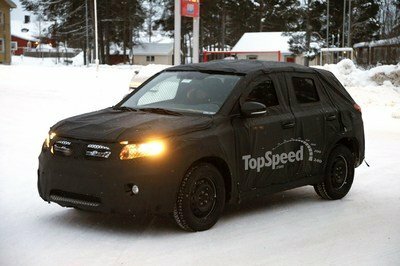 We have yet to receive word on the drivetrain, but I suspect the TCe 120 engine used in the high-end Captur will be the base option. It kicks out 120 horsepower and 140 pound-feet of torque. The current Captur also has the TCe 90, which puts out 90 horsepower. There’s also a diesel variant with the same output. I suspect those drivetrains will be a little underpowered for the longer, heavier Grand Captur. That said, I could see a larger engine offered for high-end trim levels, maybe approaching the 150-horsepower range. Either way, expect a five-speed manual or six-speed automatic transmission at launch. The current Captur starts out a £14,295 and moves all the way up to £18,395, which at current conversion rates (November 25, 2015) is $21,621 and $27,822, respectively. However, I think the Grand Captur will start at around $25,000 and move up to $32,000, depending on trim level. 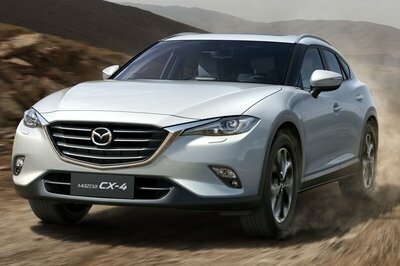 The Mazda CX-5 was also released for the 2013 model year, and the current 2016 model saw a facelift over the first few production years. 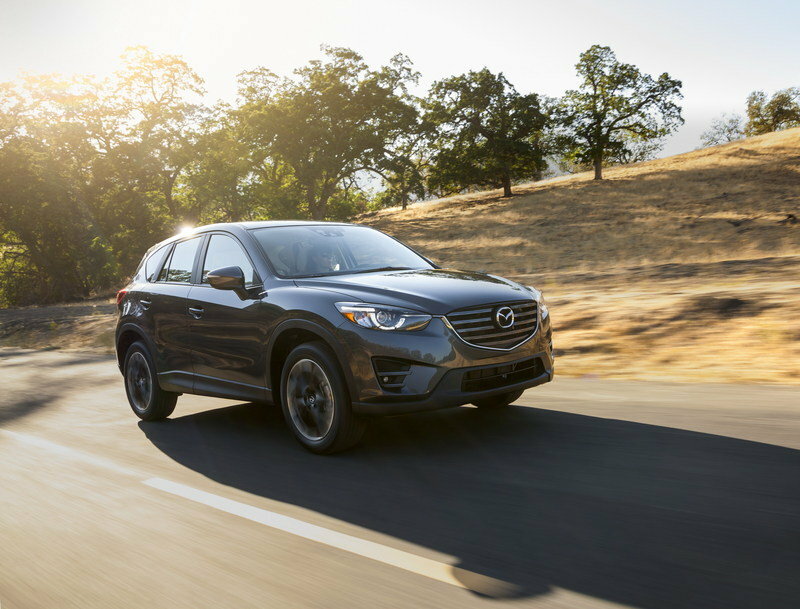 The CX-5 is powered by a 2.0-liter engine that puts out 155 horsepower and 150 pound-feet of torque. Granted, it offers a little more power than the current Captur, but the Grand Captur will probably be more in line power wise once it hits showroom floors. Read our full review on the Mazda CX-5 here. The CR-V has been around since the mid-90s, and it’s seen several facelifts in its day. The CR-V starts out at about $23,000 and shoots up to around $33,000 before options. That’s right in line with where I expect the Grand Captur to sit price wise when it makes its debut. 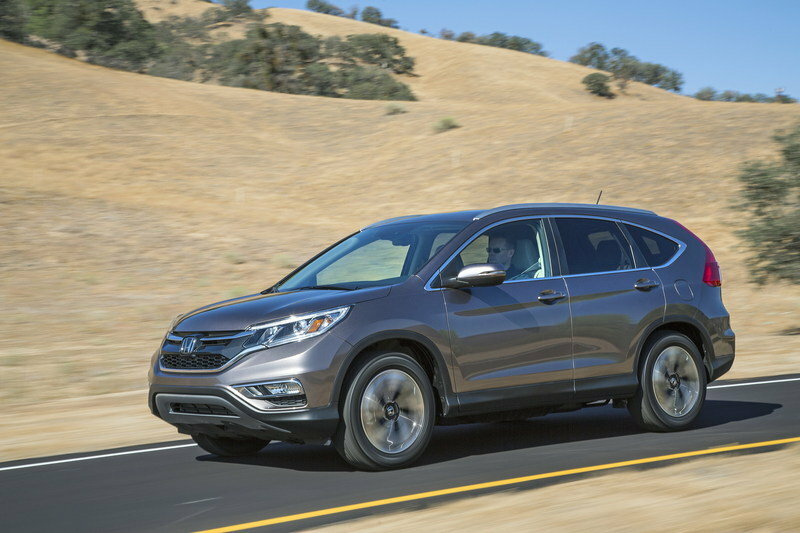 The CR-V is powered by a 2.4-liter engine that puts out 185 horsepower and 181 pound-feet of torque. It’s a little bigger than the CX-5 and will probably be a little bigger than the Grand Captur, but it still fits in the compact SUV segment and will compete against the Grand Captur. Read our full review on the Honda CR-V here. We don’t really have much to go on at this point, considering our spy shots reveal very little with all that camo. However, it’s nice to see Renault is working toward a larger version of the Captur. I was never happy with the underpowered drivetrains of the Captur, which have been rather slim compared to other models on the market, so I really hope this Grand Captur comes with updated or new drivetrains that bring it more in line with its competitors in the market.